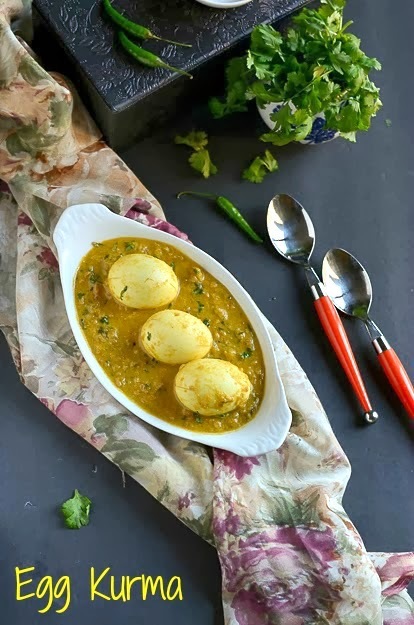 This egg kurma appears in my kitchen either for lunch or dinner,most of the times when I ran out of veggies. 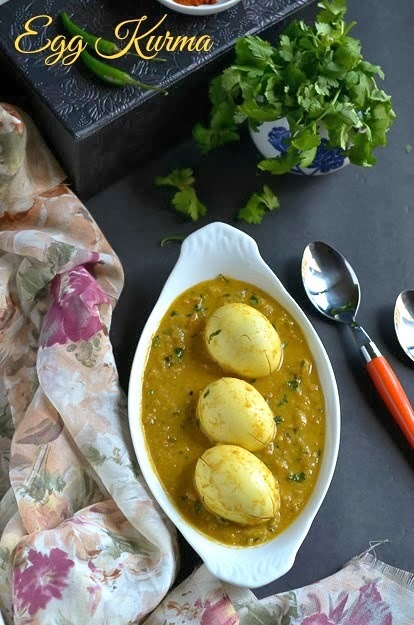 Boil the eggs and remove the shell and make slits on the top and bottom,keep it aside.Grind the given ingredients given to a very fine paste with water. Heat a pan with oil and crackle the fennel seeds and add all the whole spices,add the sliced onion and curry leaves.Saute it till transparent.Add the chopped tomatoes and cook it until mushy.Now add the fine ground paste and saute it well till the raw smell goes off. At this stage add the spice powders and mix it well and add around 2 cups of water.Let the mixture gets boil till the raw smell goes off.Now add in the boiled eggs and cook it for one boil.Sprinkle the coriander leaves and put off the flame. Saute the coconut paste for atleast 4-5 minutes to get the raw smell goes off. If the tanginess is not enough add a tsp of lemon juice at the end. This recipe is off to Cook Book Challenge # 5 Febuary week 1. Love this kurma. Yummy and inviting clicks. Great looking kumar and even more lovelier presentation..very nicely done Nalini.. They look so wonderful. Delicious gravy. 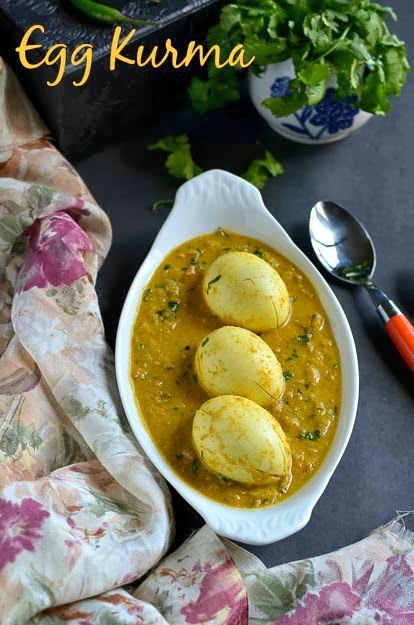 Delicious and flavorful Egg Kurma..
Wow what a delicious egg kurma. Love the spices in that gravy. 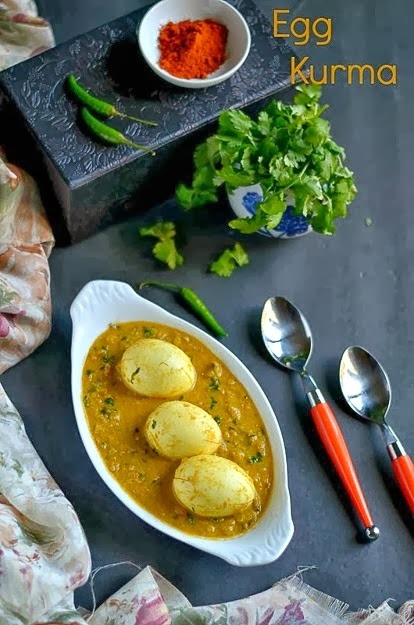 I'm always looking for interesting egg curry recipes. This looks absolutely delicious.